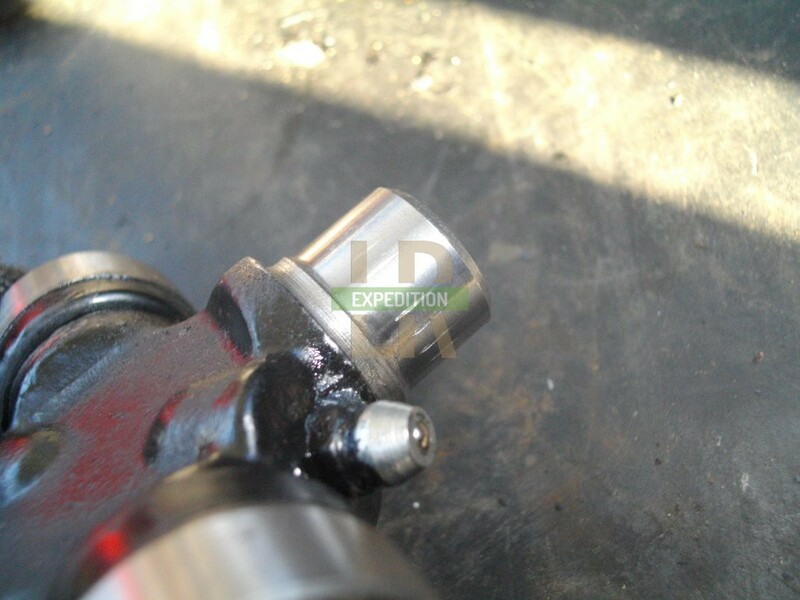 Replacing a universal joint is a fairly straight forward affair, but being the quickest thing to replace when investigating driveline vibration or whining noises and having 4 on the vehicle, you can end up replacing them quite frequently. If you do any sort of off roading, water, mud and dust don't help if they are not regularly greased (i.e. daily). 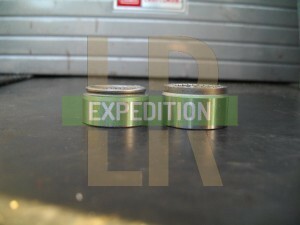 Typically, this is what destroys them on an expedition. 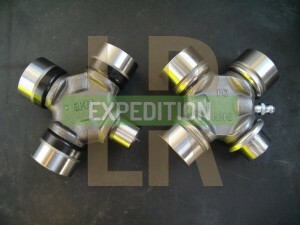 We used to replace universal joints in Belize like they were going out of fashion. 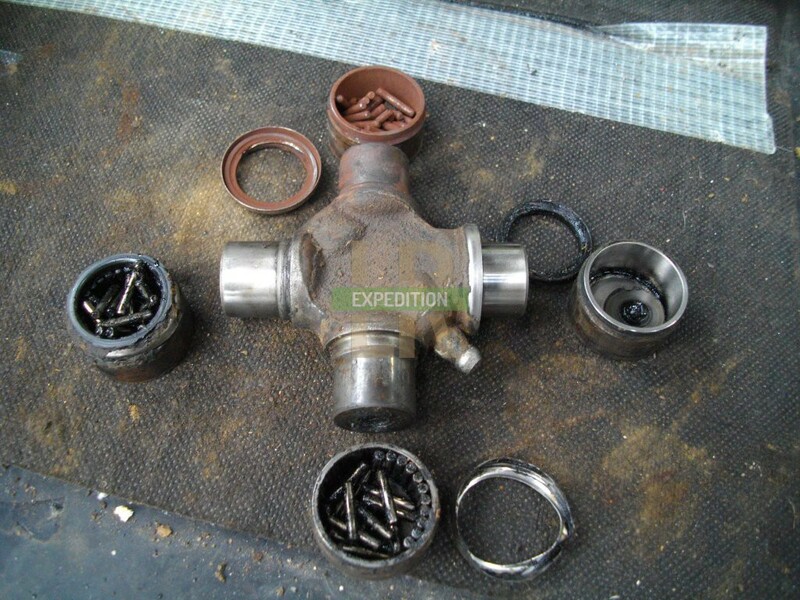 Coupled with the right installation and attentive maintenance, the frequency of failure can be reduced by picking the right UJ from the swathes of shite on sale. Not all UJs are born the same. 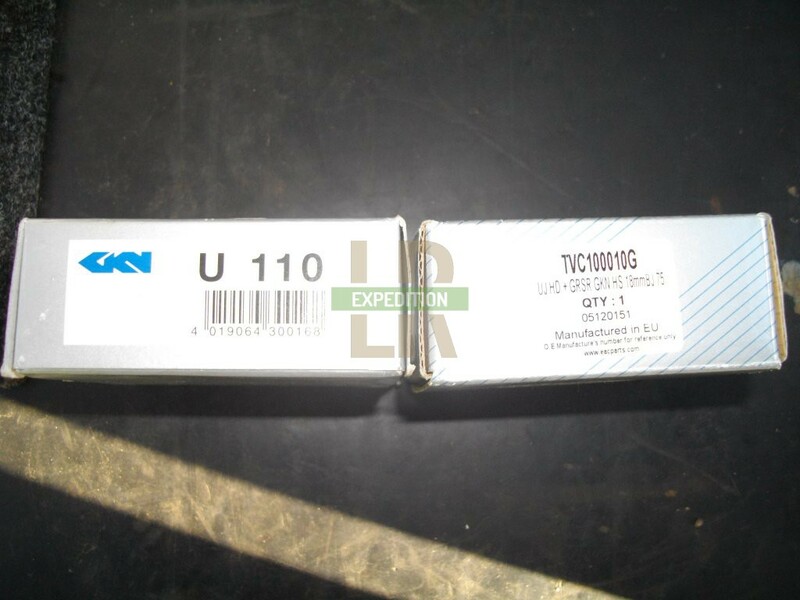 These are all available to buy under the part number TVC100010! That is to say that they will all fit because they have a 75mm span and 27mm end caps. 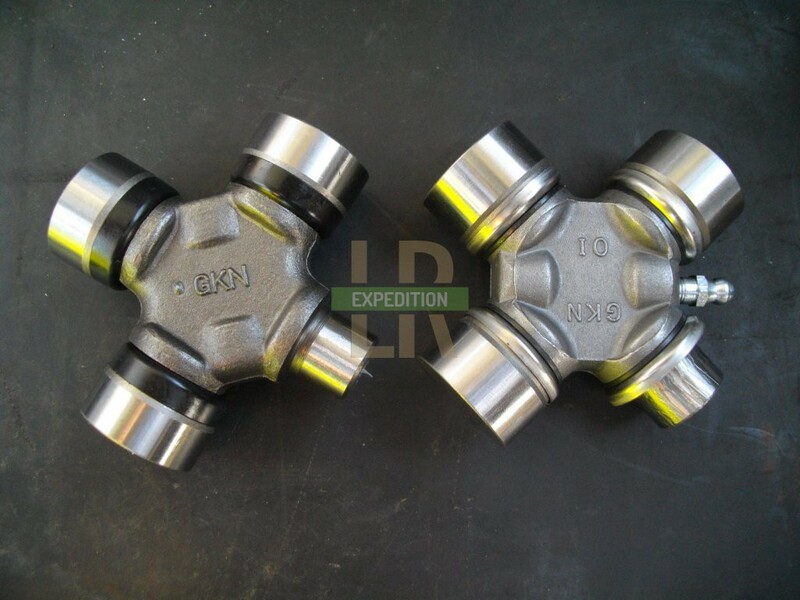 I have been exposed to these three types and below I will highlight some of the differences in quality between types of universal joints. Suffice to say, I will start with type C. This is how it came from the factory. Enough said. 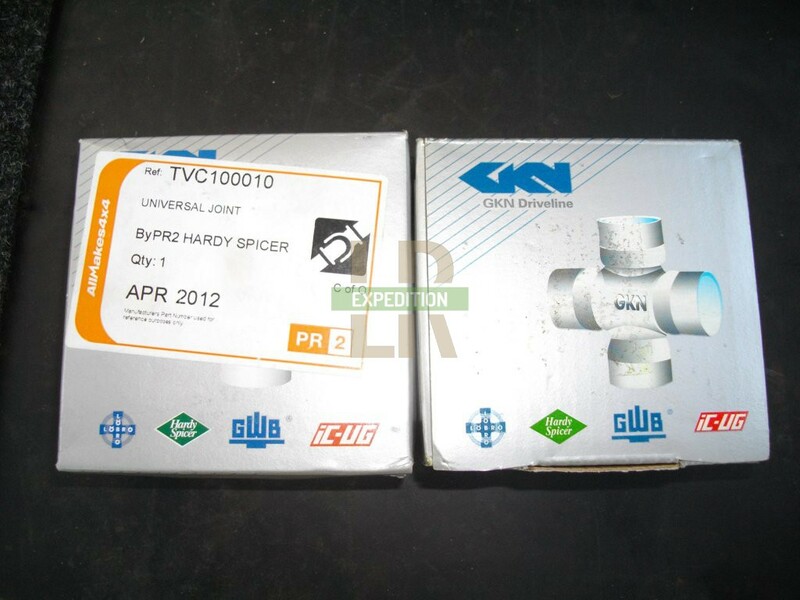 Moving on to the reputably branded GKN/Hardy Spicer universal joints, Type B on the left and Type A on the right. To begin with, the boxes are of different quality. The left is cheap and floppy that opens at one end. The right is more sturdy and has a flap on the top. 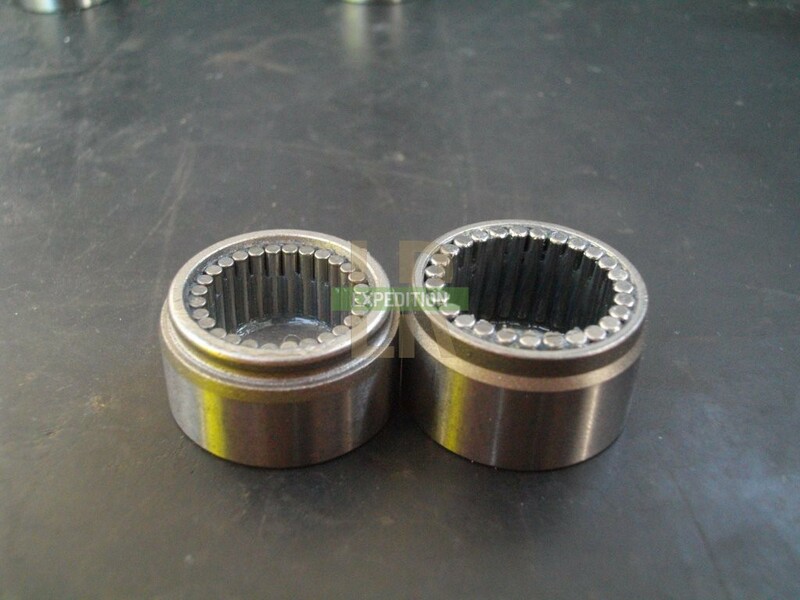 Side by side, the main difference are the types of seals. 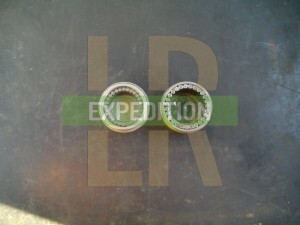 Type B on the left has the seals exposed, whereas Type A has a retainer that houses the seal which the end of the cap runs inside. This is much more effective at keeping out dust, water and mud. 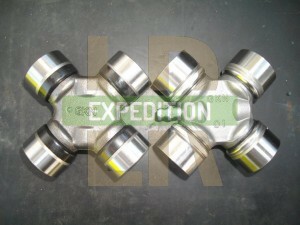 When we look directly at the trunnions, we can now start to see a different in construction. 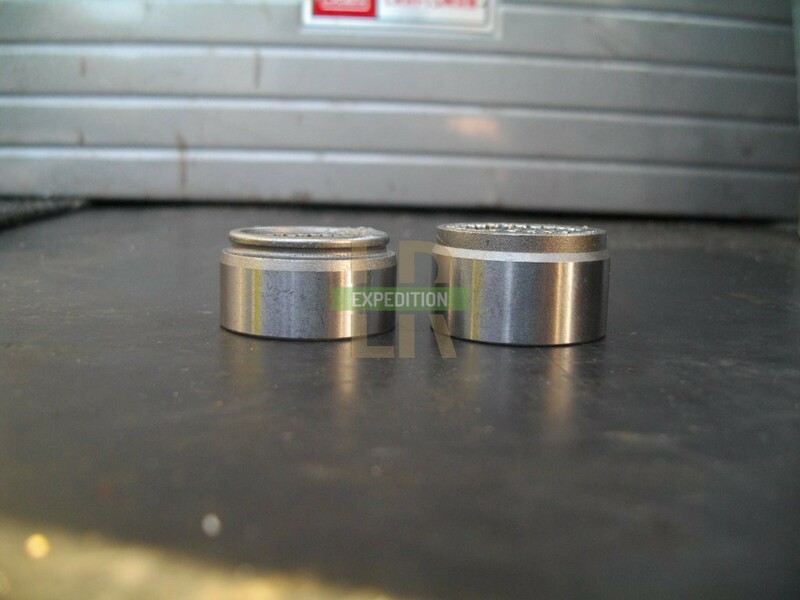 Type B (left) has a thinner 16mm diameter, whereas Type A has 18mm. You can also see the seal arrangement on Type A. The end caps are also different sizes. Whilst Type B has a thicker cap wall, Type A has thicker needle rollers bearings. 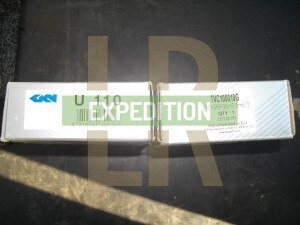 Below is the genuine Land Rover UJ that has the metal capped seals the same as Type A. 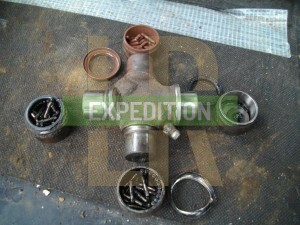 It has failed because one of the ends is rusty, so has not been greased properly. The other 3 journals look in surprisingly good condition, despite the fact that they had been on there for many years. The item itself being of a higher quality meant it was typically capable of doing the job for thousands of miles more, but was let down by its owner on this occasion. A propshaft rotates at a hell of a speed. 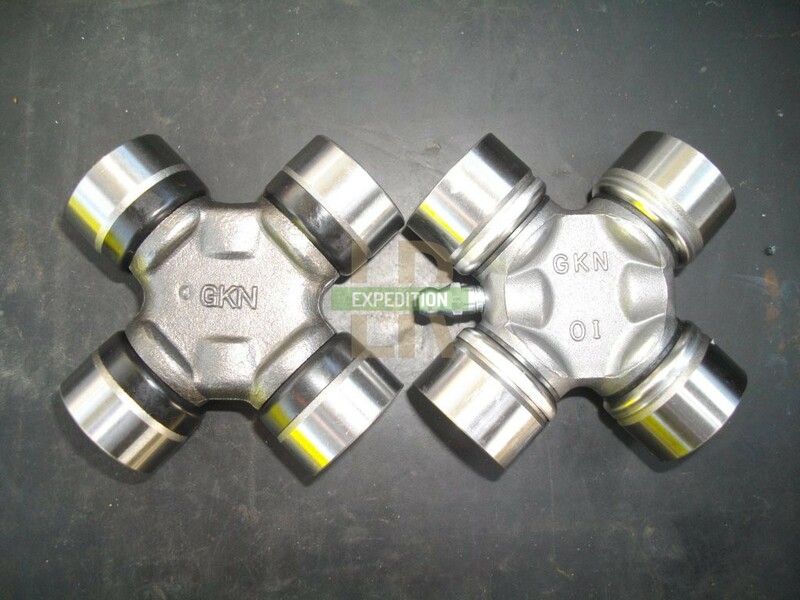 The universal joints will oscillate twice per rotation (back and forwards), and they rotate 3.54 times more than the road wheels (diff ratio), meaning each end cap will move about half a million times over 100 miles. 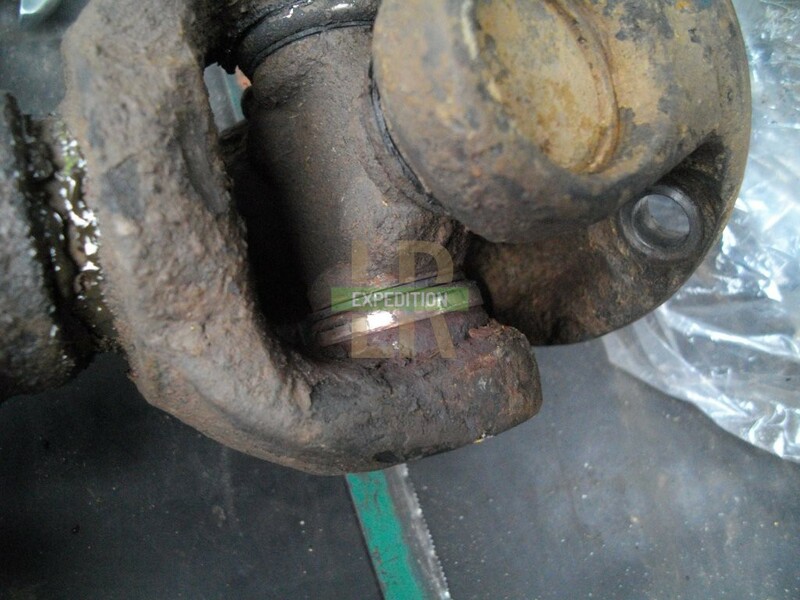 How long do you expect a universal joint to last? I would hope at least 25,000 miles with good care, maybe more. That would mean at least 125 million oscillations in that time. Who knows how many millions of rotations this one had seen, even through it had no play on its greased journals. 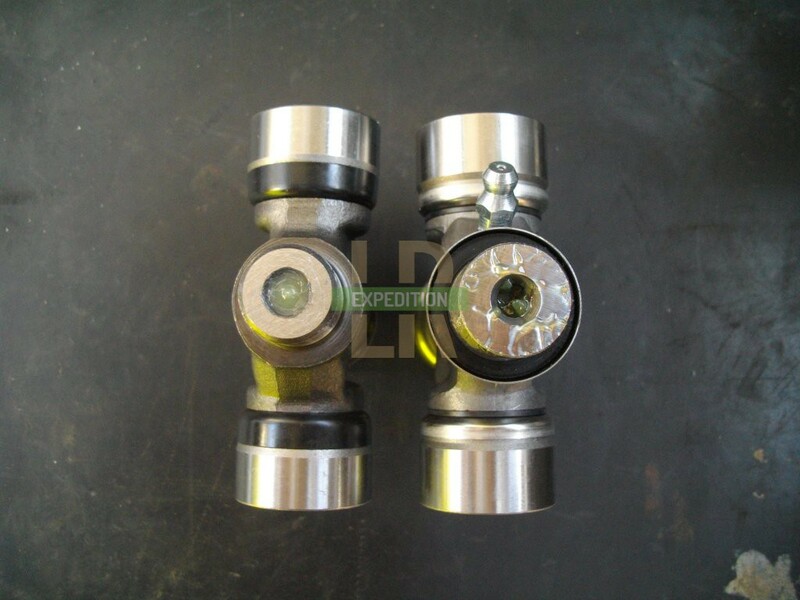 Knowing what is being asked of a universal joint and being able to directly compare products with different price tags under the same part number, means I know that i'll only ever spend £20 on a universal joint. 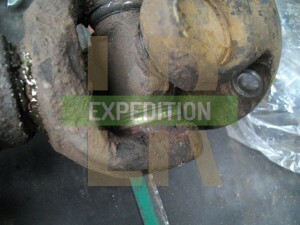 With the correct installation and regular greasing it should last a long time. If spending twice as much means i'll have to change it three times less, it gets my vote. 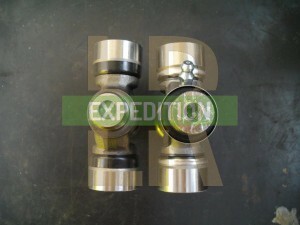 On expedition, universal joints will wear very quickly without regular greasing. You may as well fit the best parts available to give yourself a fighting chance of keeping them in good condition. 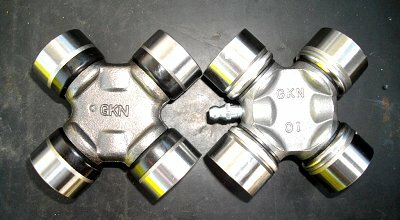 In summary, if you want the best ones, make sure they have the metal capped seals and GKN stamped on the body. 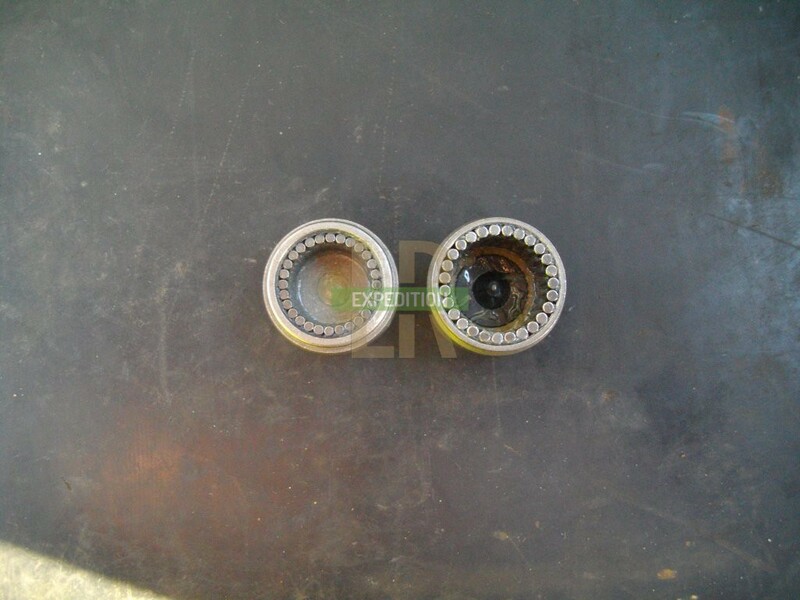 NB, make sure that you're spending £20 on the HD version, listed as having 18mm roller bearings, e.g. TVC100010.